Traveling to Bali the smart way. It was love at first sight — truly, madly and deeply. 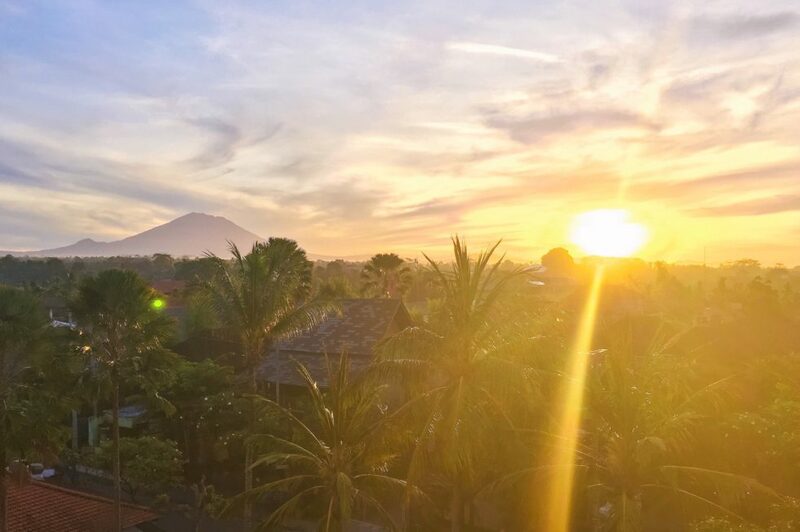 I’ve never fallen so hard for a destination in my entire life as I have for Bali! I spent an entire month in the amazing little jungle town of Ubud, nestled smack dab in the middle of the island. Bali lives up to everything you’ve seen on Instagram and then some..no kidding. 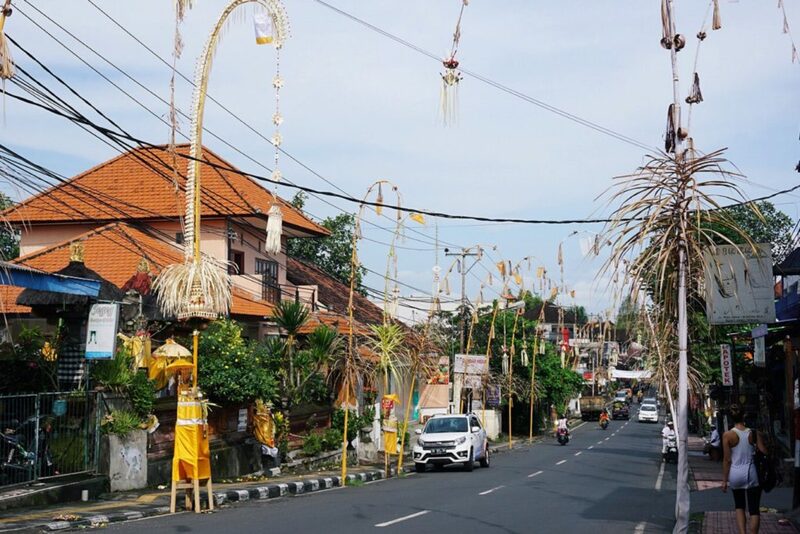 I’m still vibrating with the feel good energy that permeates the air and holding on to the peace and tranquility that so accurately represents the overall theme of the Balinese culture. 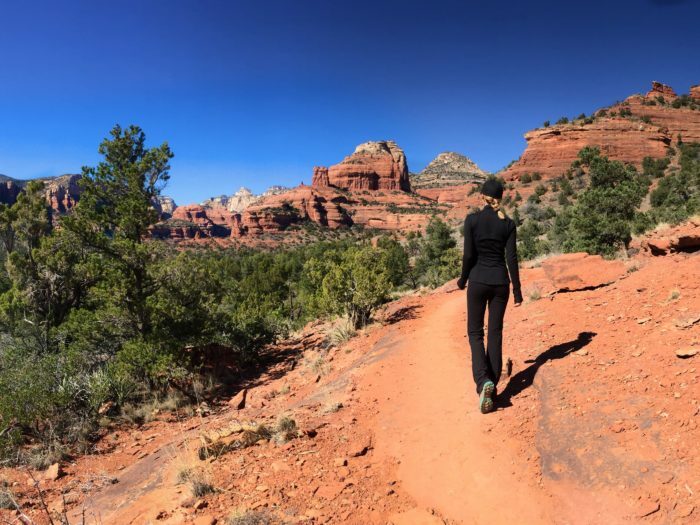 If you’ve never had the opportunity to venture to this sacred little space of the planet, there are quite a few reasons to make it a top priority. 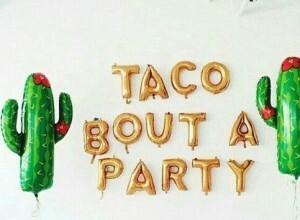 That is, if you love great food, unique adventures, dreamy backdrops and meeting laid back, happy people everywhere you go. It doesn’t hurt that the dollar stretches much further than most other comparably beautiful islands outside of Asia, too. I’ll admit, the journey from Miami was a long one, but worth every minute of the 30+ hours of travel time it took to finally touchdown in Indonesia. Unless you live in the Eastern hemisphere, there’s really no way around the arduous voyage. So, be prepared to spend plenty of time in airports and airplanes by dressing comfortably, bringing your favorite healthy snacks and some reading materials. 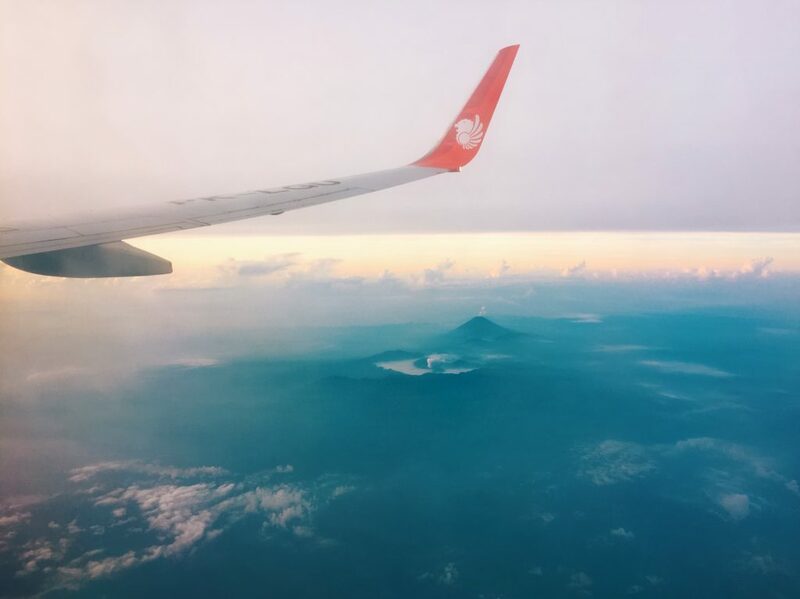 *Tip: When trying to find the cheapest routes to Bali, try flying into Jakarta, Kuala Lumpur or other nearby cities first and taking a separate (short) flight into Bali from there. You may have the best luck searching for the most affordable flight on Monday’s and Tuesday’s, and if your schedule is flexible, try departing between Monday-Wednesday. 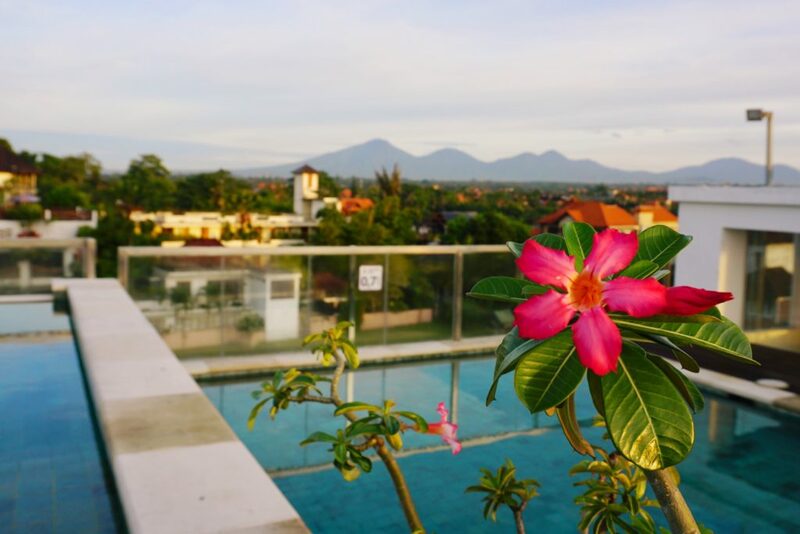 Depending on how savvy you are with your flight searches and routes, as well as both the timing and flexibility of your departure and return, you may decide its more useful to book a one-way ticket to Bali. This is what worked best for me, but sometimes it’s more cost effective to book a roundtrip ticket. 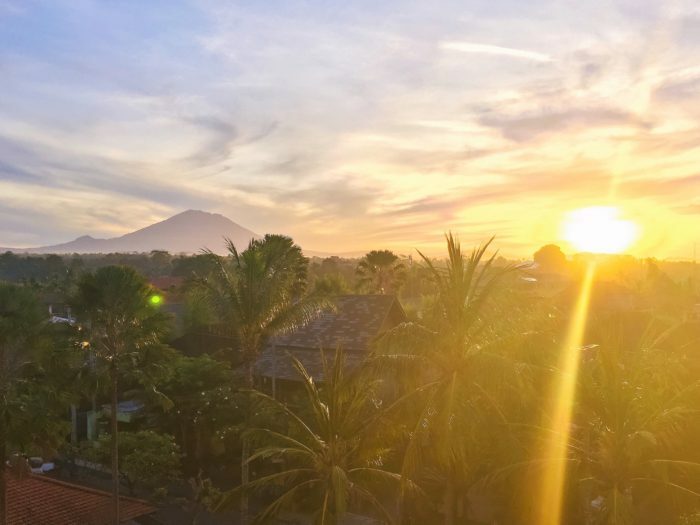 If you are unsure of how long you may stay in Bali, pay the $35 at the visa counter when you arrive so you have the option to extend your trip. Do note that the maximum time allowed in Indonesia is 60 days, and if you plan to stay longer than 30 days, you must still renew your visa at a local passport agency. We had unknowingly miscalculated our stay by one day and although we did actually purchase the extension, we didn’t have them officially extended. We got flagged at the airport on our way out of Indonesia…And then were arrested and sentenced to 10 years hard labor at a prison camp!! No, I’m kidding, it definitely seemed a lot more official and scary than it ended up being. However, its always going to be an unsettling feeling to be escorted to an airport back office with someone in uniform. The penalty ended up being a 300k rupiah fine, (which sounds like you should definitely freak out), but it’s actually only roughly $20usd and then we were sent on our merry way. Keep in mind, you pay 300k rupiah for each day you stay over so if you do plan to be in Indonesia for more than 30 days, its worth it to just buy the extension right off the bat and save yourself the trouble. The Indonesian government takes the smuggling, using and selling of drugs very seriously and the drug laws are unambiguous and can vary from awaiting 6 months in jail to go to trial, to the death penalty. Not a line you should really try to cross while you’re in Bali. You must be able to show your legal stay permit/passport at any time should you be asked by an active immigration officer. However, it may sound harsh but it’s unlikely you’ll ever even encounter a police officer unless you’re blatantly breaking the laws or using your vehicle/motorbike recklessly. First thing’s first, you need a place to call home once you arrive. Nothing feels worse than traveling all those hours only to be homeless in a new city. I prefer to at least have my first night or two booked somewhere where I can throw my stuff down, refresh, and get my bearings. For this reason, my girlfriend and I chose to stay at the Evitel Hotel for two nights while we met with rental companies and viewed villas. It was also conveniently located, as we could walk to the many shops, restaurants and the local grocery market (Cocomart) just outside the hotel grounds. As a bonus, our suite overlooked beautiful rice paddies and the rooftop pool and restaurant provided incredible views for watching the sunrise. I realize most people don’t feel comfortable traveling somewhere without the reassurance of knowing exactly where they’ll be staying ahead of time, but its an excellent way of making sure you’re happy with the overall location and appeal of the accommodations. Additionally, negotiating a rate in person will almost always ensure you of a much better deal than if you were to purchase it online. 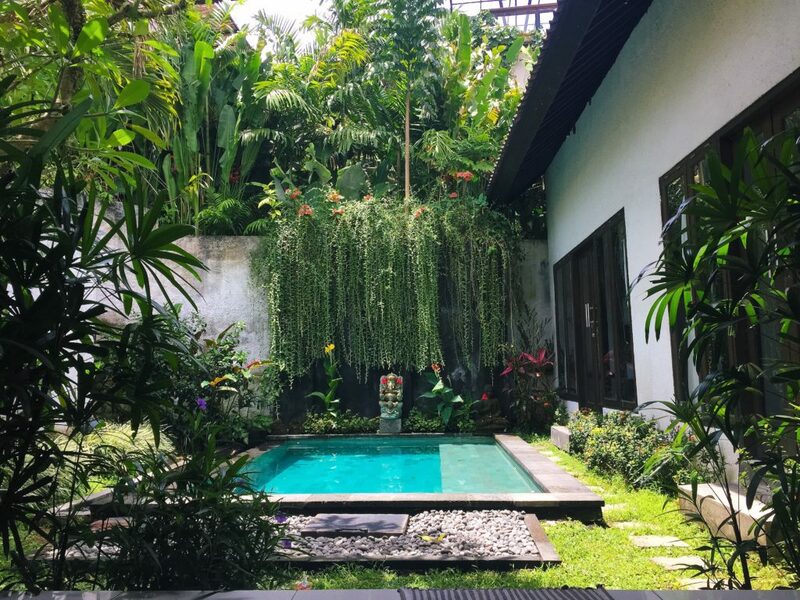 AirBnB is still a great option to book your stay through though and you can find quality listings at really reasonable rates in Ubud, with the help of the traveler reviews. Whether you stay at a hotel or rent a villa, choose a property that will facilitate you with the most authentic experience possible. I actually enjoyed living outside of the main parts of town – in Penestanan. 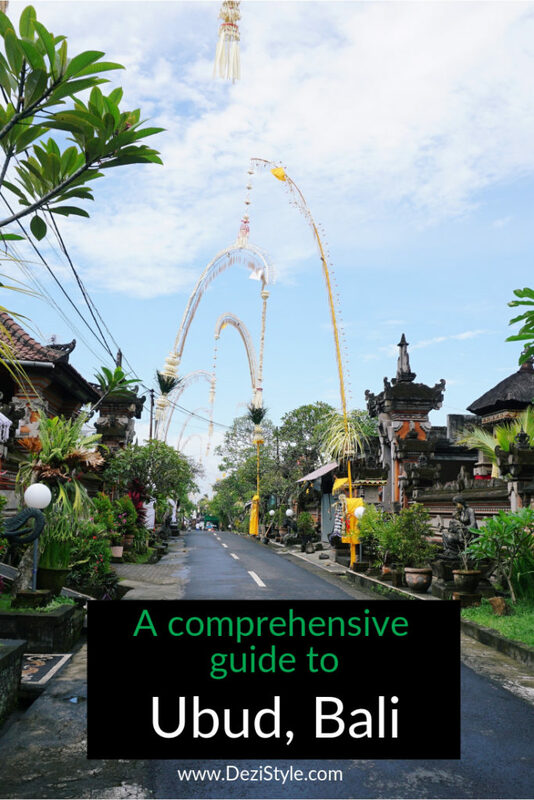 This allowed me to interact with a bit more of the Balinese culture and some authentic food spots. I also liked the task of getting around on our moped to run errands, I think it tends to make you feel a little more comfortable exploring more than just your general surroundings. I’m going to go ahead and say air conditioning is a necessity. Not every room might have it but let me tell you how nice it felt to sleep in or come home to a cool, refreshing bedroom after being out in the humid jungle heat all day. Not all accommodations may have A/C so be sure to include it in your search criteria if its important to you. 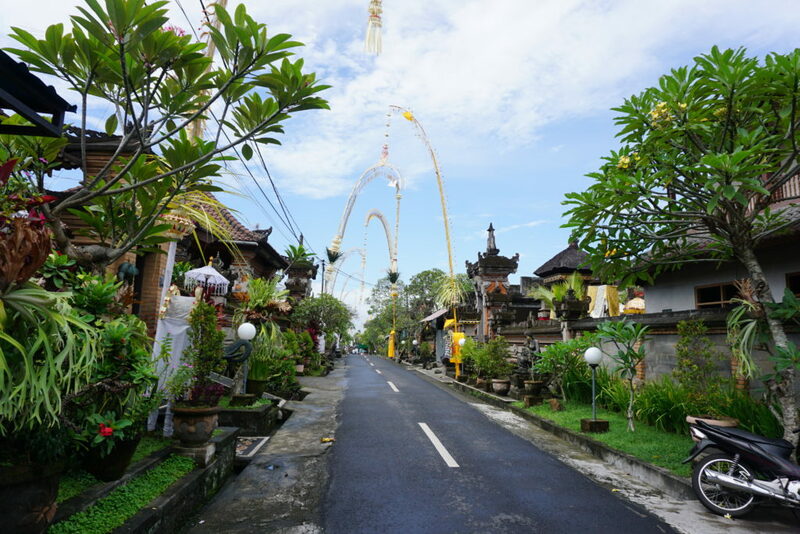 Making your way around Bali is quite simple. You’ve generally got 4 options: taxi, motorbike/moped, bicycle or walking. The latter I would not recommend as your main method of transport if you plan to explore more than your general vicinity, to which that would be an utter shame if you do not. You won’t find Uber here to be like you do in most countries, but taxis are pretty easy to find, not by any such markings, but by the friendly gentlemen usually hanging out on the sidewalks asking passerby’s if they are in need of service. (*Edit: I realize Uber does technically operate here but there are multiple signs displayed around Bali that portray the image that it is banned, as well as multiple reports of Uber drivers being beaten by local taxi drivers, and fake license plate numbers in the Uber app itself for fear of being targeted, making it more difficult to identify which car you are supposed to take. So although Uber may operate, it is still frowned upon by many locals who believe it takes away from the profit of their own community & have made those driving Uber & those taking Uber, feel intimidated at times, so its best to use a bit of precaution.) This can get quite pricey though if you are making multiple trips throughout your stay (most taxi’s won’t charge less than 100k rupiah, no matter how short your trip is). 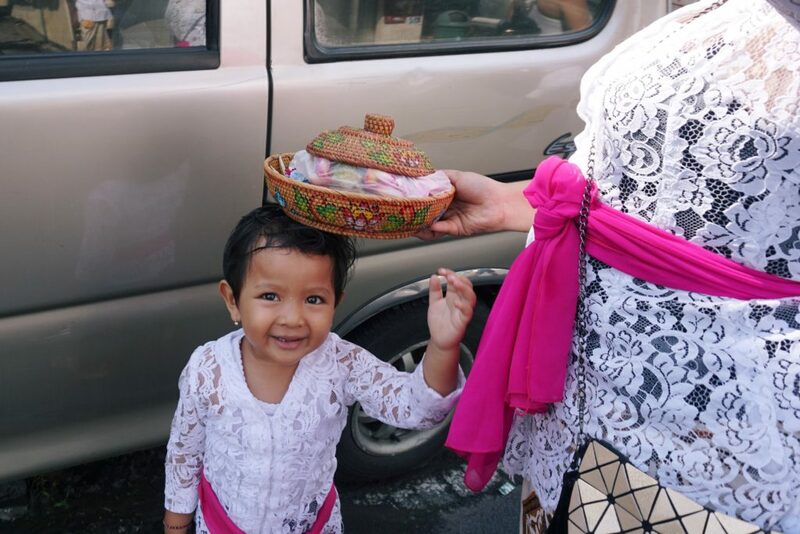 On the contrary, taxis can be great for longer trips, say to Seminyak or other attractions not located in town, as you can generally negotiate very reasonable rates. So, what is the best way to get around Bali? The answer is one I didn’t initially want to admit to: a motor scooter. Forget about the nerdy aesthetics, everyone is doing it. My main concern was driving on the opposite side of the road and trying not to be a granny holding people up as they dart and weave past me in traffic. I lasted about a week before I finally caved and decided to just do it. Do as the locals do, right? Getting that scooter was one of the best decisions we could’ve made though. We felt like 16 years olds who just discovered the freedom of roaming with a drivers license. Which, reminds me.. having an international drivers license is not necessary to rent a scooter. Come to think of it, I’m not sure anyone checked to see if we were even licensed in our own country. The authorities don’t tend to meddle or bother you as long as you’re safely & respectfully driving, obeying common laws and wearing a helmet. As for the bicycles, it’s possible to rent those, too. 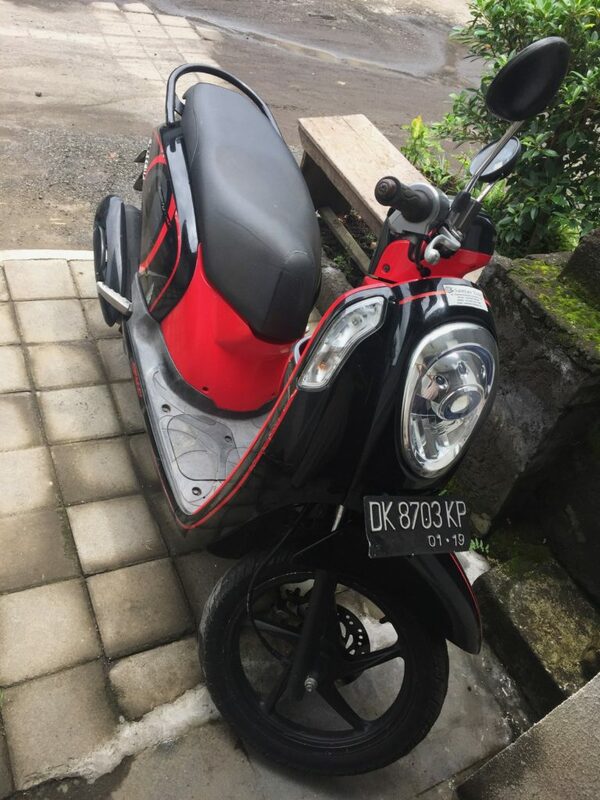 However, as Bali can have some rather mountainous terrain and unpaved roads, I’d save that for short, local trips to the cafes or going to yoga, but not my main method of transportation. Although international drivers licenses are handy in the case of renting a vehicle when abroad, you do not need one to rent a scooter. For those it applies to, driving on the opposite side of the road can be a daunting thought, but have no fear, you’ll adjust quickly. You will see people on scooters without a helmet. Don’t be one of those people! You can find petrol at small roadside shops, usually displayed out front in something like old Absolute Vodka bottles…probably next to some bananas and t-shirts for sale. Since you’ll definitely be wearing a helmet while riding on the scooter (riiight?? ), you might be wondering what you’re supposed to do with it once you park. You can feel secure leaving it right on your scooter! Most people just stick them on their rearview mirror and get on with their business. As the weather stays at a median temperature of about 80 degrees Fahrenheit with moderate to high humidity year round, you don’t have to concern yourself with a diverse wardrobe selection. Do consider the rainy season though, which generally lasts from December to March. 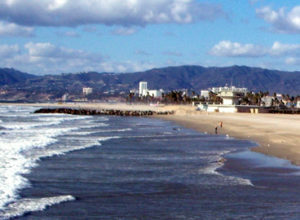 Ideally, the best months to visit for the maximum amount of sunshine is from July to September. However if you ask me, any day is a good day to be in Bali. Packing for Bali should be simple. Don’t overpack (lesson learned). You can find anything you need there, and undoubtedly for much less than you’d spend back home. With the weather being so warm and tropical, you won’t want to wear much, so pack light, breathable fabrics with a loose fit. And ladies, leave the heels at home. I wasted precious cargo space on things like my heels and leather jacket, that literally sat in my suitcase unused during the entire month in Bali. (To be fair, I wasn’t sure which country I’d be in next, but damn, I could’ve brought back so much more coconut coffee had I not brought those). Point being, keep it casual! U-bud is u-ber relaxed. There are a few basics I like to travel with, regardless of destination, that make my life easier. Multiple all-in-one converters (with at least one high-quality converter with a low/high wattage switch). I bring multiple because I use my laptop, camera gear, phone and portable batteries with me for work purposes so I need to charge many devices each day. For the average traveler you may just require one durable converter. I prefer to use this one by Brookstone because it works in over 150 countries and has the full 3-prong outlet for charging bigger devices like my laptop. An extension cord….because you never know where you’ll find outlets in foreign countries. A good pair of flip flops. $10 says that’s the only pair of shoes you’ll end up wearing. My 20 ounce Yeti rambler goes everywhere with me. Why you ask? It’s BPA free and an environmentally responsible choice to not produce more waste. A good hat to shade you from the sun. I brought a baseball cap that I could also easily wear under my helmet to shield my eyes from the sun when I drove. Portable charger. Never leave home without it. I own two different sizes of the Mophie batteries and they are fantastic. 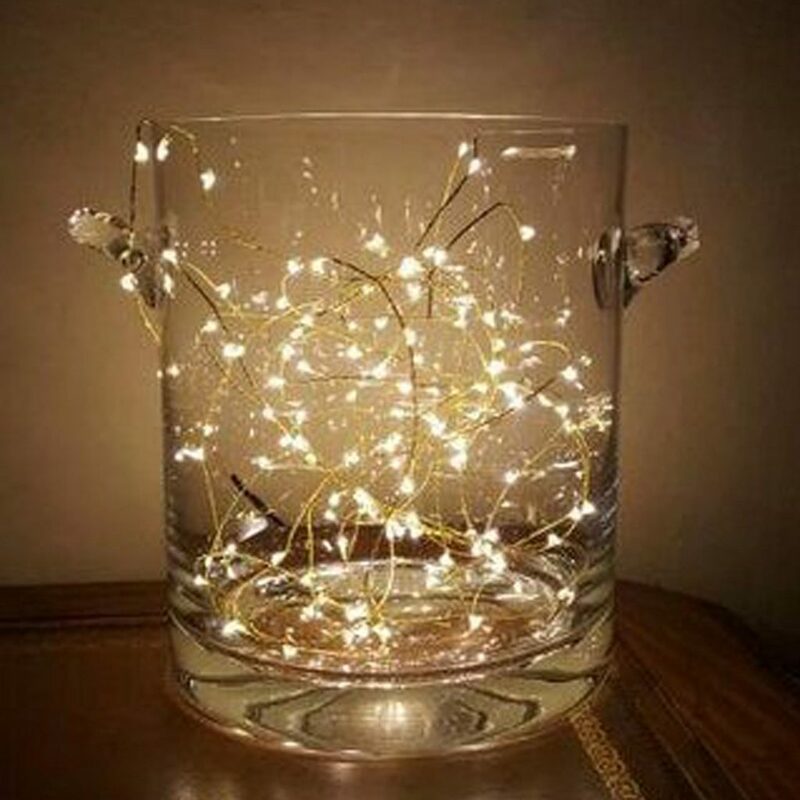 Mini string lights – Hear me out. I know its not a necessity, per se, but for under $10 you can carry with you the key to creating a charming ambiance no matter where you are. These come in a pack of 3 and virtually take up no space. They’re submersible and can run for over 20 hours on one battery. A good attitude. You get what you give so have a positive, open mindset and you’re bound to meet a world full of amazing people. 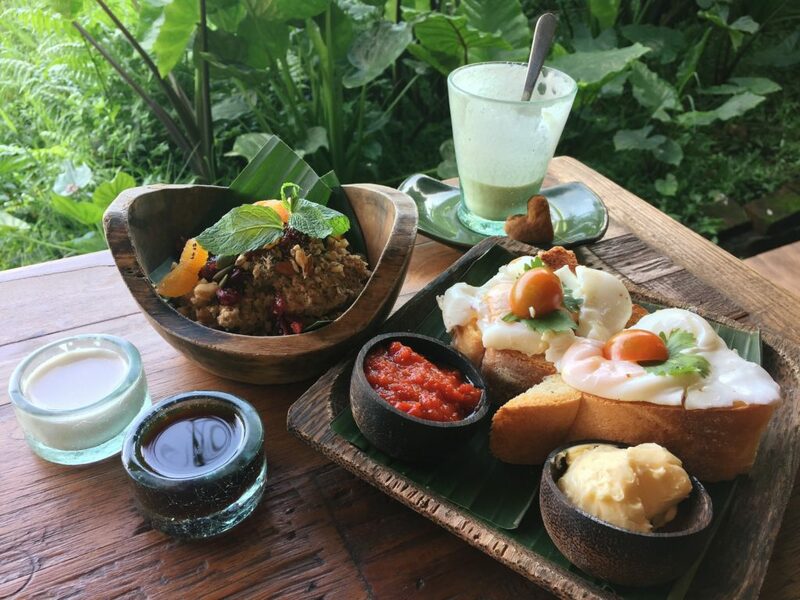 The simple yet delicious menu you’ll find throughout Ubud is one of my favorite parts about Bali. You’ll find yourself looking forward to each and every meal. You really can’t beat the fresh, healthy options Ubud offers and the prices will make you want to try everything on the menu because…why not?! Although I can go off on a tangent here, the food scene was too good not to give it the proper rundown it deserves in it’s very own post — Coming soon (with much more on Bali), so be sure to subscribe so you don’t miss out! Amazing guide! It always amuses me how many Australian’s do stupid things in Bali and get arrested. Thanks, Jean. 🙂 I agree, its pretty bizarre how many risks some travelers take when abroad. Better to be safe than sorry in those circumstances! Bali is on my bucket list a visit in the next two years for sure. Great guide. Bali is an incredible place. You won’t be disappointed when you finally do make it out there. It has so many great places to explore! I’m so happy I found this guide! 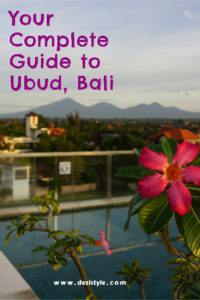 I’m going to Bali in two weeks and there are definitely some useful tips here! Thank you! I’m so excited for you, Aga! Bali will be an incredible experience, and an even better one at that since you are also a lover of coconut and coffee as well. 😉 There are some delicious coffee varieties in Bali, but the (dairy free) coconut coffee is one of my favorites, hands down. Stop by Clear Cafe for some great juices, coffees, and food while you’re in town. It became a near daily ritual once we found this place.